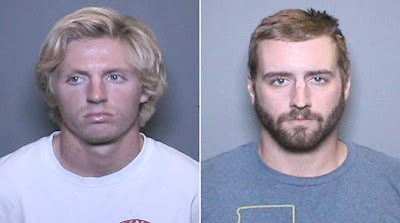 Two lacrosse players at Chapman University in California have been arrested after the disappearance of a turkey from Orange High School’s agricultural area prompted an animal cruelty investigation, police said on Tuesday. The turkey was last seen at 5pm on Saturday, but when students went to tend to farm animals at the campus at 7am on Sunday, the turkey was missing, according to the Orange Police Department. Then, at about 5pm on Sunday, Orange County Animal Care received a report from a resident in Orange who had discovered a turkey. “Tim,” an American heritage Slate turkey, was found with his feathers missing or cut off, police said. A school official said the turkey smelled of beer. He had trouble breathing, along with multiple other injuries. He is being treated at a vet hospital. Steven Thomas Koressel, 23, and Richard Brenton Melbye, 21, were arrested and booked into Orange County jail. They were taken into custody on Monday on suspicion of theft and released early on Tuesday on their own recognizance. 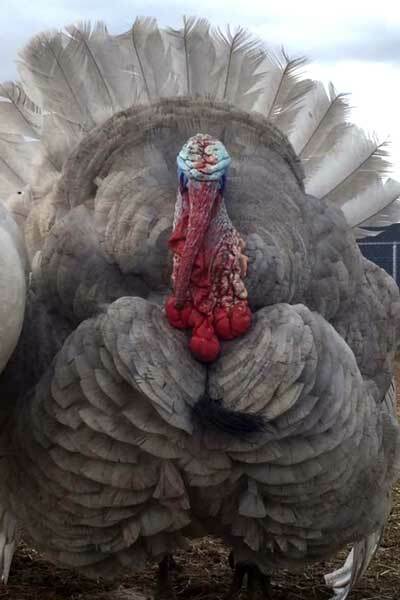 It's not known what happened to the turkey, or how his feathers went missing, police Sgt. Phil McMullin said. Who would even think of doing something like that? Sick.